95% of all cancers are due to the accumulation of toxic chemicals from our environment and diet. Watch this short video and see how you can easily convert some products in your home to get rid of those toxins! Ready to get started with a healthier lifestyle? Get started with Young Living today! Normal retail is $329, but with today's deal you can get this kit for only $160!! I know you have options, everyone probably has a brother, cousin, sister or beautician that is signed up with Young Living. The difference is education and support. Our team is very active and we have classes every month. I am also available for one on once consulations. You will also have access to an active Facebook group that you can ask questions in and learn more great tips. I also send out reference materials to you throughout the year. I had heard about Lemon essential oil and it’s cleaning properties and I had an opportunity to experience that yesterday at work. I have the responsibility of keeping the wet erase calendar up-to-date. This was a new responsibility so other people had been doing this before me. On the calendar was one date that had something that refused to come off. I’m not sure what kind of marker they had used but it wasn’t the right one. I tried water, rubbing alcohol and nothing worked. I even tried scraping it with my fingernail just to see if I could make a dent. Nothing prevailed. Finally I thought, well I have nothing to lose, so I went and grabbed my Lemon oil. I put one drop on a paper towel and wiped it over the stubborn printing. It immediately came off. Ha ha. I went around the office telling everybody what had just happened. They are familiar with me talking about the oils but they were certainly interested in this new way of using Lemon. I was dealing with an ant invasion around my trash can and around my dog’s food bowl. A teaspoon of sea salt to absorb 3 drops each of Peppermint, Lemon, Orange, and Grapefruit essential oils. Then I combined the oil and salt mixture with water to fill an 8 to10-ounce metal spray bottle. Note: It is important to remember that citrus oils must be stored in metal or glass bottles, not plastic. I sprayed the trash can and the floor around my dog’s bowls with the mixture 3 to 4 times in one day. I have not seen another ant since! I was relieved that I did not have to worry about my dog coming in contact with essential oils, as they are nontoxic. And of course I was excited that the oils solved my problem too. I love therapeutic-grade essential oils! I was on the verge of kicking my husband out of our bedroom, as his snoring literally rattled the rafters! I read that Lavender essential oil aids in restless sleep, apnea, and snoring. So I placed a drop of Lavender oil topically under my husband’s nose at bedtime. Boy did I sleep! And my husband woke up rested too. Yes, it worked the very first time. So this is now his nightly ritual, and I am ever so thankful! Needless to say, we now stay stocked up on Lavender! I spoke about this in one of my "Intro to Essential Oils" classes. A couple then bought a kit, and I received a call the next day: "My wife didn’t snore last night for the first time in years!" I love my essential oils! Their Seed to Seal®process is a promise to you. This meticulous, five-step approach allows Young Living to deliver nature’s most potent and pure essential oils from our farms to your family. This unique approach sets them apart. Young Living oversees every step of production to ensure that you get pure essential oils and products you won’t find anywhere else. Learn more about the journey our oils take and our unparalleled process at SeedToSeal.com. Check out what comes in your Young Living starter kit! Get started on your Wellness plan! Why Join Young Living Essential Oils when there are cheaper version in retail stores? Oils have been around for centuries, nowadays though it's important to pick the right ones. There are so many 'cheap' versions out there that don't have the quality of Young Living and that is why I decided to go with this company. Please, if you do go with other company DO NOT ingest them unless the bottle says so. Many Essential Oils are made with chemicals and synthetics that can do more harm than good. Young Living's oils are therapeutic grade. The video below shows a little bit about the company. Does Signing up mean I have to sell Young Living? One of the benefits of getting a starter kit through our team is that you also get to join our private Facebook group that’s specifically for questions about essential oils! Myself and other team members teach online classes, at least once a month! And we are always around if you have questions. There are also reference guides that can be used. What comes in the Young Living Premium starter kit? 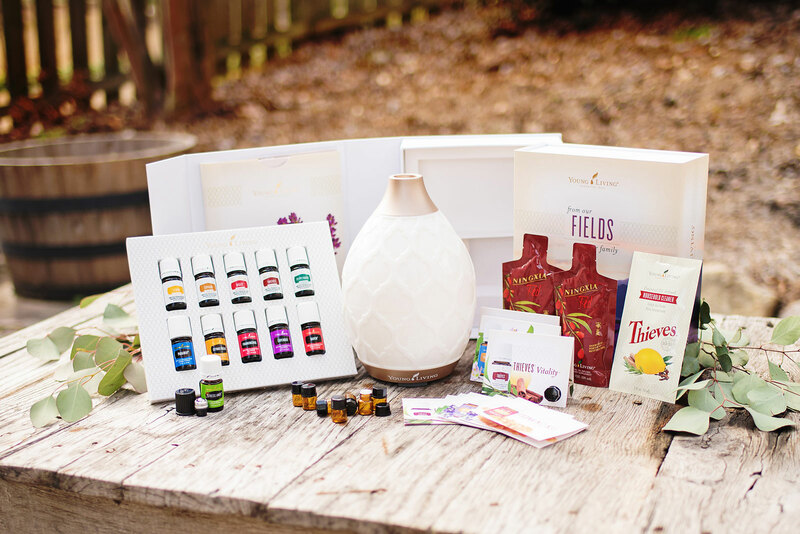 You can see all the current items that are included in the Young Living Premium Starter Kit here. What is Young Living PV? PV means your personal volume, how much your order each month. Why choose Young Living over Doterra or other similar companies? For it was Young Living's Seed to Seal process. I wanted to make sure I was getting a good quality oil. After all I was using these to replace many of the chemical infused products around my house. Their process to quality is unbeatable. In many cases they own the farm so they know how the plants are grown. I also like the amount of products Young Living has. 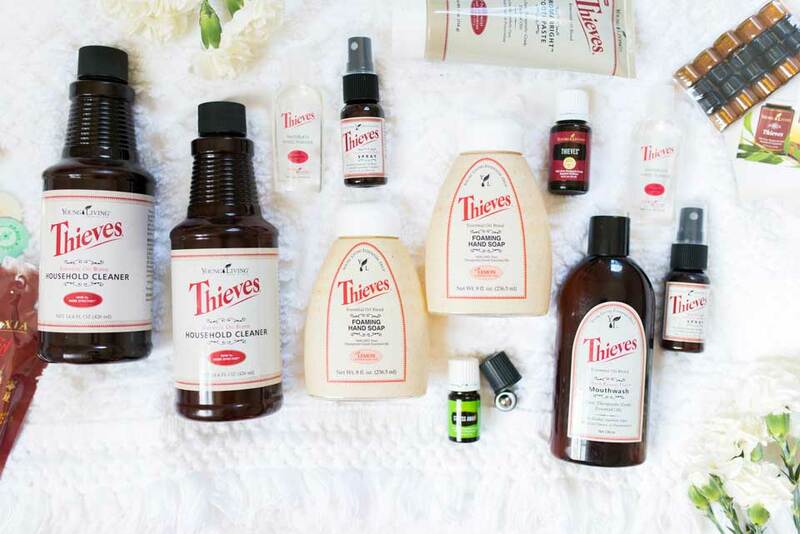 It's not just the oils, they also have oil infused cleaners, supplements, personal products, weight loss and more.